On behalf of Yeretsian Law posted in blog on Tuesday, February 13, 2018. Money laundering, also known as "dirty money" is the act of taking illegally received money and putting it through a system to make it appear legitimate. That money is then used to for very legitimate things such as to buy things, take trips, run a business or even put the kids through college. Last month Arkansas state senator Jake C. Files pled guilty to wire fraud, bank fraud and money laundering. Files admitted he submitted fraudulent bids to the Western Arkansas Economic Development District for $46,500. The money was wire transferred to an account that File's associate opened. The associate then had a cashier's check made out to File's construction company. The rest of the money was taken out in cash. Files then deposited the money into his personal account. Money laundering has been around a long time- perhaps as long as money itself. In fact, centuries ago wealthy people would "launder" or hide money so as not to have the government tax it or take it. Today we see this same principle in operation in offshore banking and tax evasion. Earlier this century money laundering was connected to the bootleggers of Prohibition and to organized crime. More recently there has been an increase in awareness of the use of "dirty" money to fund terrorism or to evade international sanctions. Online gaming and digital currency are two typical ways that dirty money is "cleaned." Money laundering guidelines in federal cases are harsh because they were intended to combat the large amounts of money laundered by drug traffickers and organized crime. Unfortunately, defendants who are accused of smaller money laundering schemes face these harsh sentencing guidelines that Congress intended for criminal organizations hiding millions of dollars in illicit money through offshore accounts, shell corporations and layered transactions. 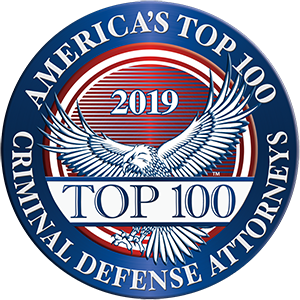 An experienced criminal defense attorney can help a defendant charged with money laundering by establishing that the defendant's case falls outside of the "heartland" of the money laundering guideline and, hence, requesting that these harsh sentencing guidelines not be imposed on the defendant. Most recently President Trump's son-in-law Jared Kushner, national security adviser Michael Flynn and former campaign manager Paul Manafort have been put under scrutiny for crimes including money laundering. Flynn and Manafort have been indicted on a host of criminal charges. The United Nations Office on Drugs and Crime estimates that $2 trillion in assets are "laundered" annually. Related Posts: Check skipping can have more serious consequences than heartburn, Are Dabs, or hash oil, or wax illegal?, Protect Yourself From Telemarketing Fraud, Who can refuse the chemical test?